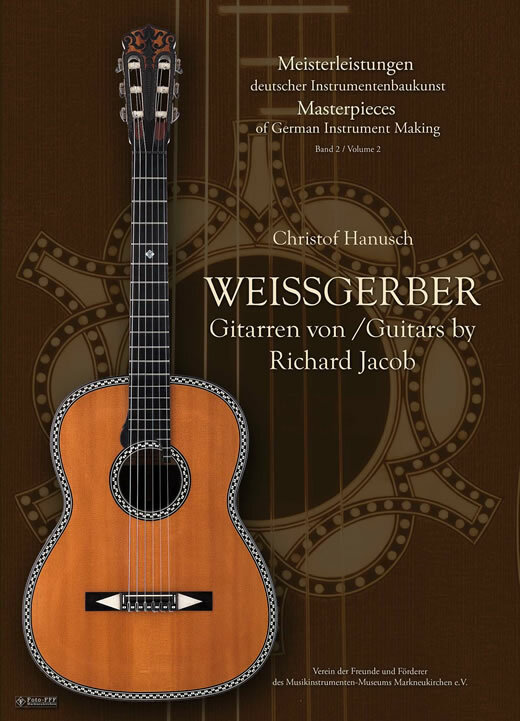 Book „WEISSGERBER - Gitarren von/Guitars by Richard Jacob“. Richard Jacob was one of the 20th century’s most creative and innovative guitar-makers, and certainly its most eclectic. Whether one looks at Germany or around the globe, this Markneukirchen master craftsman remains unmatched in the diversity of his work. The distinctiveness of his models and designs as well as the abundance of shapes and decoration are one-of-a-kind. There is no doubt that he is one of the great artists in his field, artists distinguished not only by the complete mastery of their craft, but whose individuality is manifested by their unique designs and the inimitable tone of their instruments.  Just as is true of the instruments of other renowned guitar makers, “Weissgerber” guitars possess unique, unmistakeable characteristics. 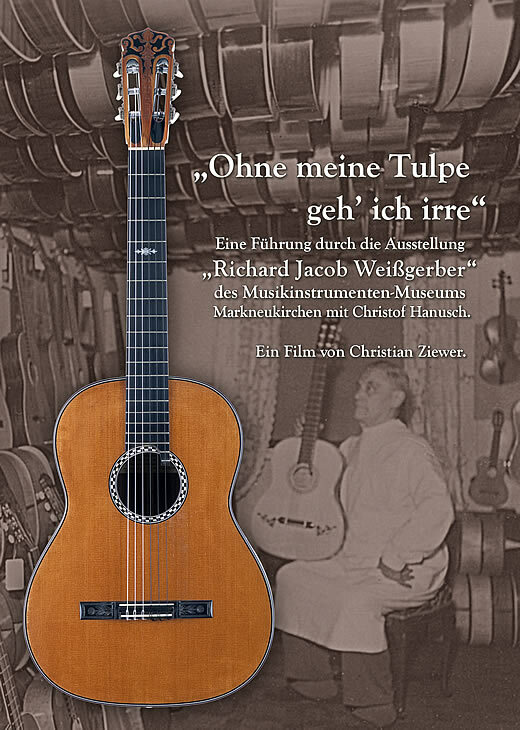 The monograph “WEISSGERBER - Gitarren von / Guitars by Richard Jacob” uses many original, never-before-seen sources including photographs, letters and other documents related to Jacob’s life and work. 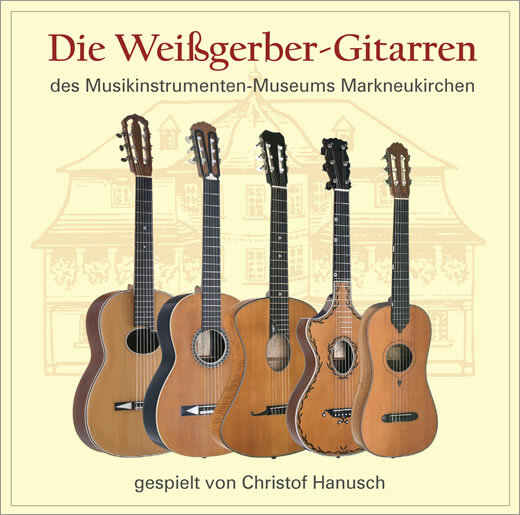 Additionally, the book contains an extensive catalogue of ‘Weissgerber’ instruments presented at the Markneukirchen Museum of Musical Instruments on the occasion of the 50th anniversary of the death of Richard Jacob in 2010. Christof Hanusch presents the six playable instruments belonging to the Museum of Musical Instruments, Markneukirchen which were made by Richard Jacob between 1921 and 1960. With 70 minutes of music by Milán, Purcell, Kellner, Campion, Handel, Sor, Giuliani, Legnani, Coste, de Falla, Mangoré, Tárrega and Carlevaro. 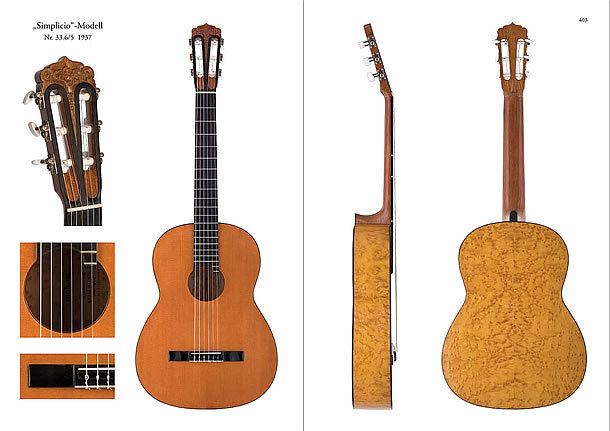 Accompanied by a comprehensive german/english booklet containing photographs and descriptions of the guitars, and information about the history of the "Weissgerber" workshop . The documentary "Ohne meine Tulpe geh' ich irre" by Christian Ziewer was made 2010 during the "Weissgerber" special exhibition at the Museum of Musical Instruments, Markneukirchen. The exhibition presented 60 Guitars by Richard Jacob "Weissgerber" from the period between 1916 and 1960. With: Christof Hanusch and the luthiers H.-Christian Köhn, Ulrike Meinel and Frank-Peter Dietrich. Book, CD and DVD published by the Association of Supporters and Friends of the Museum of Musical Instruments, Markneukirchen e.V. Courtesy of the Heimatverein Markneukirchen e.V.